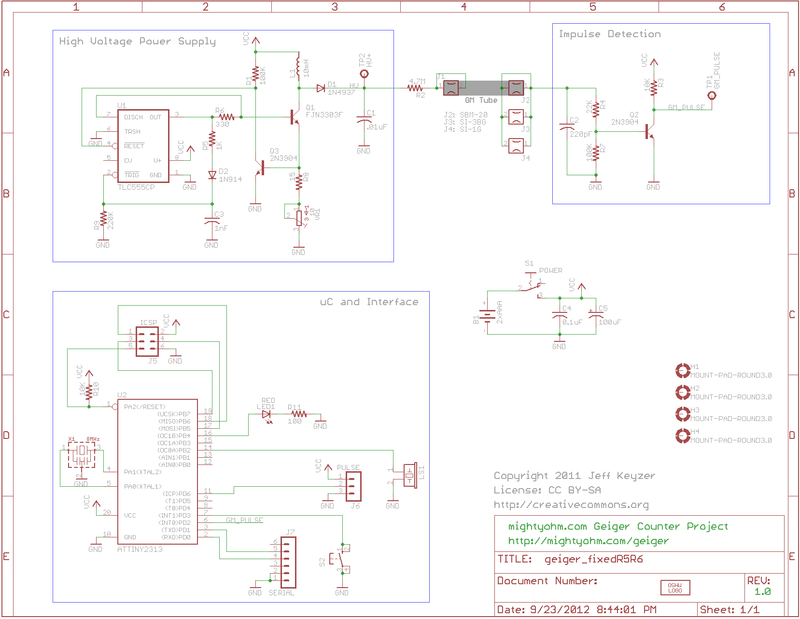 Build your own Geiger counter and detect radiation all around you! Have you ever wondered if the objects in your house are radioactive or not? Does the apple in your fridge give off radiation? Are the books on your shelves giving off gamma rays? 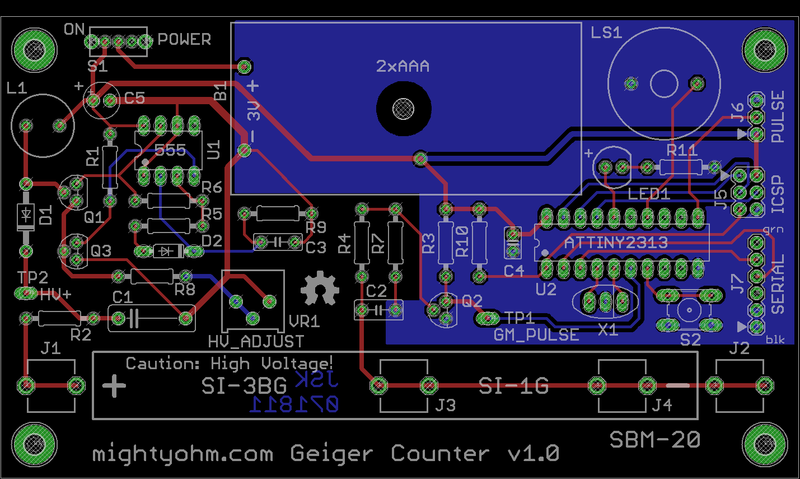 You can easily find that out by building your Geiger counter! Thanks to the serial logging function you can track exposure over time, and you can use the mute button to detect radiation without any noise. A must for every mad scientist. LED and piezo speaker for alerting about detected radioactivity. Support for several common Geiger-Müller tubes: SI-3BG, SI-1G, and SBM-20. HV supply can be adjusted from ~300-600V. Serial data logging! Counts per second (CPS), counts per minute (CPM), and equivalent dose are reported via the serial port once a second.